What Happens on Your First Visit To The Orthodontist? So Your Child Needs Braces – It doesn’t have to be a very stressful event at all. Your doctor will explain to you the entire process step by step. There’s also the staff that’s there to help you at all times and gives you information about the maintenance and financing aspects. Pediatric practices are those which only treat children. But nowadays, adults are those who want to get braces. If you’re looking for an orthodontist, the San Tan Valley Orthodontist is the best one. What Should You Do At The First Appointment? At first, the staff from there will give you a tour of the office and will do the introductions. This way, you’ll feel more comfortable and ready to do the work. The whole idea of the first appointment is to see if the treatment is actually needed and if it really is, where should you start. You’ll go to be examined very carefully. They will take x-rays and photographs of your teeth and mouth. 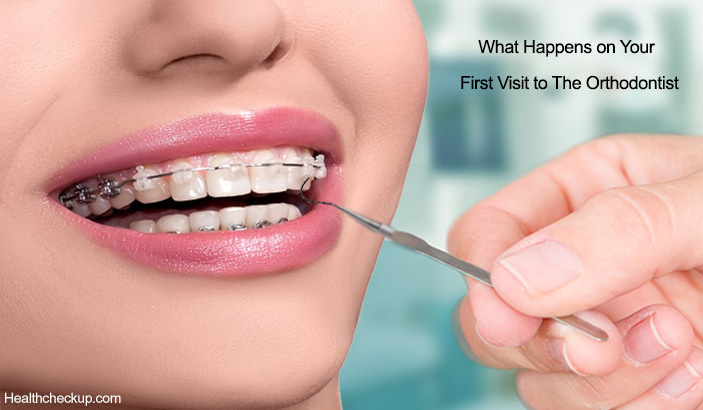 Then, the orthodontist will give you a diagnosis and will explain the orthodontic problems. Then, together, you will choose a course of treatment. If the treatment is needed, then you’d be taken impressions of the teeth. They will help in setting an individualized treatment plan. Then, you’ll get an estimative price and the staff will take a look at your insurance benefits. After this, you will talk about payments and financing options. The orthodontist will talk to you about the recommended appliances (braces, retainers, expanders) and will give you even more details about them. You’ll also be given an estimated amount of time that the treatment will take and how many times you’ll have to come back to the office. The consultation will last 1 or 2 hours. If you are okay with the treatment and you decide to go for it, then what you need to do next is to make an appointment to get the appliances placed. The staff, together with the orthodontist will tell you why good oral hygiene is crucial when you have appliances in your mouth. They will tell you details on how to care for the appliances, too and will also talk to you about proper dental hygiene procedures. You’ll have to go to appointment every 6 to 10 weeks. They will determine the progress of your teeth and will make the necessary adjustments if they have to. The orthodontist will also review your hygiene practices and give you some more pieces of advice. It’s true, the team is formed out of the orthodontist (be it pediatric or not), the staff and you – but you are the important person out there. Your doctor will want you to feel comfortable and secured by every step of the process. If you have questions, always ask them. Don’t be shy; they will answer all of them with no problems at all. Can Constipation Cause Frequent Urination?